Available in a pine or white finish, these centre-pivot conservation windows from Fakro offer durable protection for any traditional building. 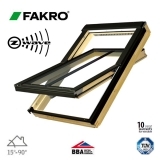 With a characterful sash bar down the middle, you can be sure that these windows will blend in with the most sensitive of aesthetics. 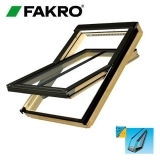 Do you need to talk about your project before placing your order of FAKRO centre-pivot conservation windows? Feel free to call our friendly team on 01752 692760, they’ll happily help.